Apple's next pursuit: Its own original programming a la Netflix? Is Apple about to enter the world of original programming, and if so, what sort of programming is it pursuing? Those questions are swirling in media circles after a Monday night report from Variety, a Hollywood news fixture, that Apple (AAPL) is exploring such a move. One thing is for certain: Apple executives are reaching out to high-level entertainment industry types for confidential talks. An executive familiar with the outreach to Hollywood said Apple is assessing whether it should start to bankroll original TV shows and movies. This would put Apple into close competition with streaming services like Netflix and traditional TV networks like ABC. At the same time, it could become a deep-pocketed new buyer of content from Hollywood studios. The source cautioned that it is "very early days." An Apple spokesman declined to comment on the Variety report, which also came with a number of caveats. "The scale of Apple's ambitions vary depending on whom is asked," Variety said. Other companies' TV shows and movies already light up iPhone and iPad screens all around the world and make the Apple TV box worth buying. 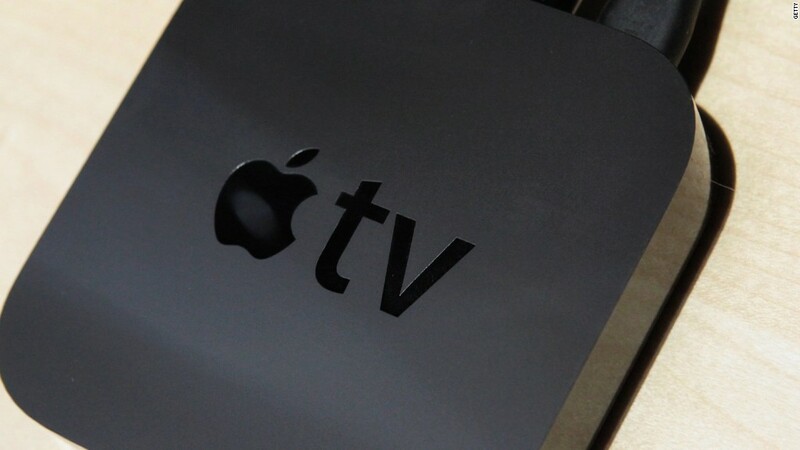 Apple is expected to introduce a new version of Apple TV at a press event on September 9. Looking further into the future, the company is interested in selling a cable-like bundle of TV channels via the Internet, but it has run into resistance from some major network owners. And there are persistent rumors that the company could make its own big-screen TV someday. However Apple may expand, having TV shows with the Apple stamp -- shows that aren't available anywhere else -- would distinguish the service. "Every service starts on catalog and moves to originals to compete and differentiate," Media ReDEFined publisher Jason Hirschorn told CNNMoney. "Apple is no exception." Hirschorn formerly held senior positions at MySpace, MTV and Sling Media. He floated the idea that an A-list star like Jon Stewart, recently departed from "The Daily Show," could cut an exclusive deal with Apple. Apple already operates its iTunes Store, which lets users buy movies, individual TV episodes and season passes. If the company doesn't move forward with a full-fledged streaming service, it could seek to add more exclusive content to that store. But it was easy to find skepticism about the Apple talks on Monday night along with serious prognostications and wishful thinking. "You guys," media industry consultant Rex Sorgatz tweeted, "Apple will make a car, a spaceship, and a social network before it makes a TV show."